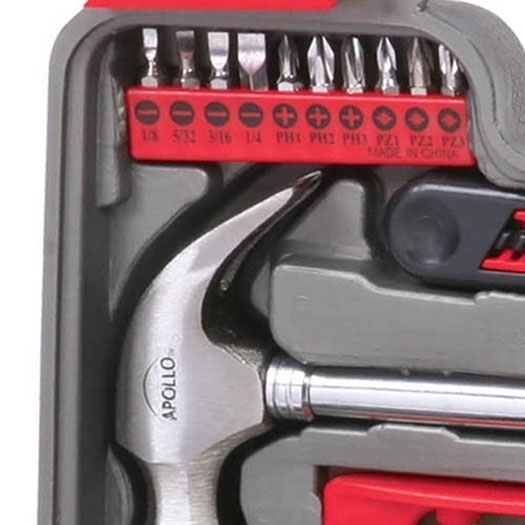 This 69 Piece Household Tool Kit with 4.8 V Cordless Screwdriver contains the tools needed for most small repairs around the home. 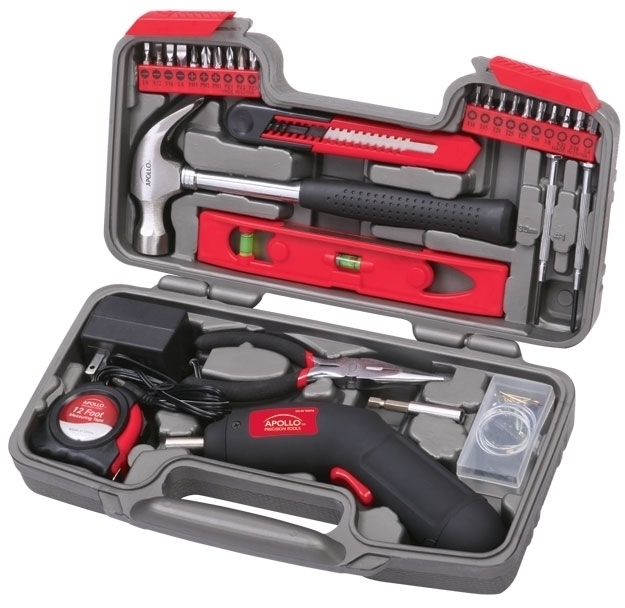 Tools are heat treated and chrome plated to resist corrosion, and held securely in a handy blow molded case. 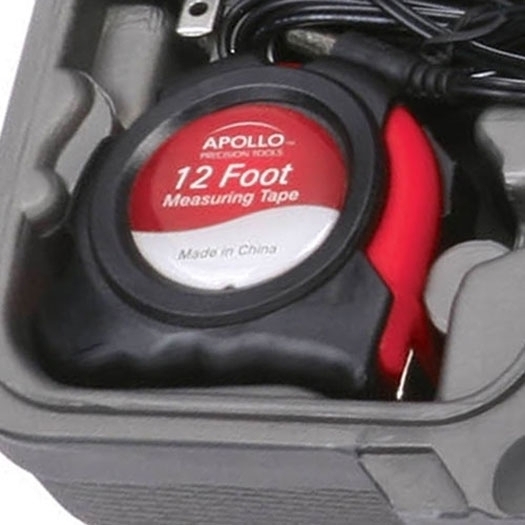 4.8 volt rechargeable cordless screwdriver, 12 foot tape measure, claw hammer, 6" long nose pliers, twenty 1" bits: 1/8", 5/32", 3/16", 1/4", PH1, PH2, PH3, PZ1, PZ2, PZ3, T10, T15, T20, T25, T27, T30, 1/8", 5/32", 3/16", 1/4", 2" bit connector, 18mm Utility Knife, two precision screwdrivers: Phillips #1, Slotted 3mm, 8" level, forty picture hanging fasteners. .